One of the challenges in home interior design is to pick the right flooring that suits your tastes and design. Stone flooring is one of the most popular flooring options. With trendy designs and huge varieties of unique texture from stone flooring, the choices are endless. 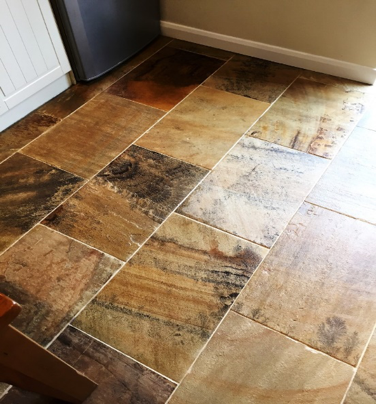 Before engaging with professional stone cleaning company, you may want to understand more about your stone floorings first. Here is the quick list of different types of stone flooring that will help you understand your stone floorings better. This igneous rock is formed from molten magma and recognized as one of the hardest material on earth. Granite has truly proven its durability over the years. As a result, Granite is one of the top choices for stone flooring designs because it is a relatively easy-to-maintain flooring option. Furthermore, beyond its high gloss finish and resilience, the natural stone is made up of different types of crystals which give a unique visual character. Granite tile is considered as one of the most popular flooring material as this natural stone offers a wide range of benefits and a huge variety of texture and color. 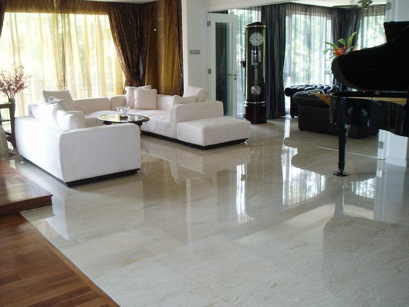 Limestone flooring earns its popularity in stone flooring market from its classic and clean atmosphere. Besides its wide variety of natural earth colors, the muted tones of limestones reduce vibrancy and give a sense of sophistication and relaxing touch to any room without cutting any of the losses. 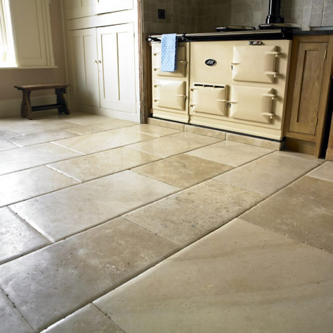 The natural and timeless appeal of limestone is suitable for any style of home decorations. However, the disadvantage of this natural beauty is its porousness. It is vulnerable to chipping and cracking. Still, limestone can be solid and durable if the surface is properly sealed and regularly maintained. Known for its elegant and regal appeal, marble is defined as one of the fanciest and timeless stones floorings when it comes to home interior design. The color variation and the marble’s fascinating vein pattern can give a sophistication and glamor that really stands out. 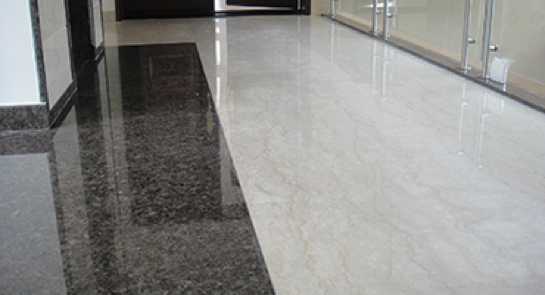 Marble requires regular care as it is susceptible to scratching and chipping. 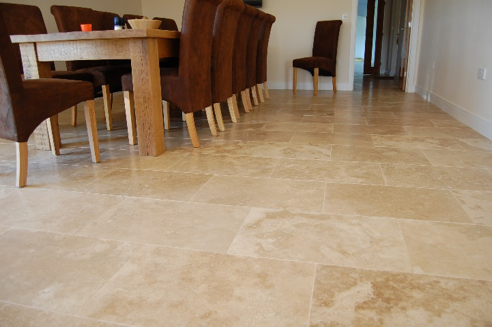 This type of stone flooring is perfect for dining areas, foyers living rooms and elsewhere around the house. This natural stone is formed in hot spring or limestone caves. Travertine tiles are also available in modern and classic colors which give a trendy and appealing presence in any room. Travertine is also known as a great alternative flooring material for granite and marble if lower material cost is desired. In addition, travertine tiles are one of the most popular tiles used for outdoor or indoor flooring nowadays. However, due to its porous structure, travertine floor needs proper care and constantly filing of the holes. Besides its long-lasting characteristic, slate flooring’s resistance to scratch and stain is also reasons why it is perfect for outdoor flooring. This durable stone flooring can last for decades if properly maintained. 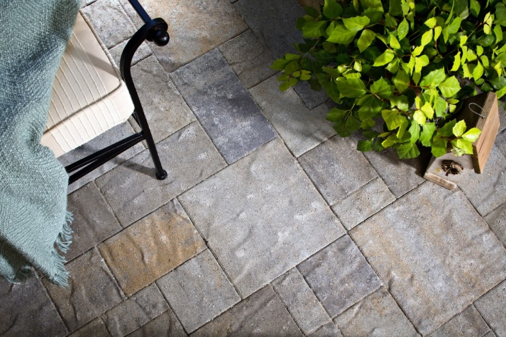 The water-resistant stone flooring feature comes with wide variety of natural colors, shapes, and styles. Because of its versatility and unique texture pattern, some homeowners also use slate flooring in their homes so as to create a sense of vintage touch to the kitchen or bathroom. Sandstone is a natural form of the earth which is usually quarried from the mountain core. Durability is the major advantages of Sandstone flooring in the market. Furthermore, Sandstone flooring offers a distinct look to any space. Its variety of uniquely neutral colors and pitted-finished surface sets it apart from the other stones. This natural and eco-friendly stone is also considered by home decoration professionals as a great fit for any indoor or outdoor flooring -- it suits almost any style throughout the home. If your stone floorings do not belong to the categories above, you can find a complete list here.